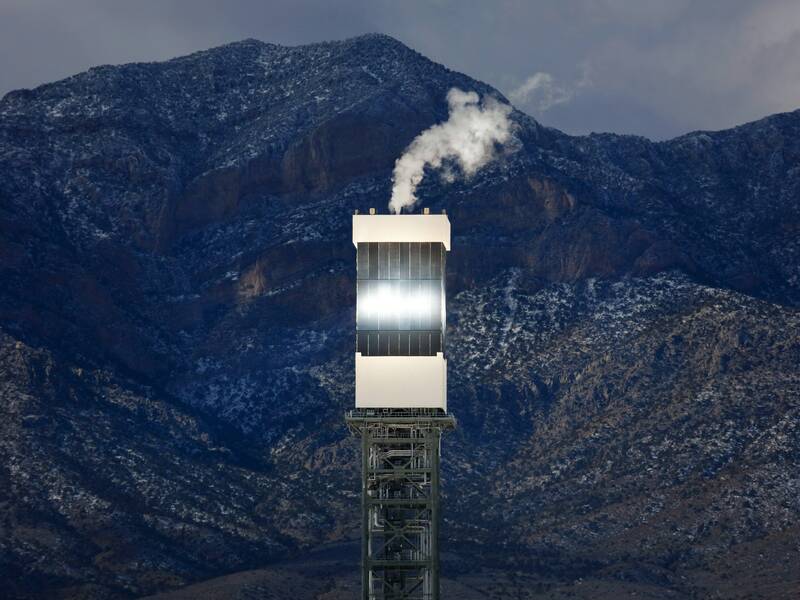 Alone Archives - HexByte Inc.
California currently relies on green energy sources like the solar thermal plant Ivanpah, located in the Mojave Desert. Before Californians use an electron, they like to swirl the glass a little, get some nose. You want a whiff of that subatomic particle’s terroir before pouring it into an air conditioner or a phone. Does it have the musty, planet-destroying aroma of a greenhouse gas appellation—generated, perhaps, by the burning of coal or oil? Or does our electron have the sprightly insouciance of wind generation, or solar? If Governor Jerry Brown signs into law Senate Bill 100, now sitting on his desk—it’s still an open question, though the bill has passed both houses of the state’s legislature—California will use nothing but cleanly generated, carbon-neutral electrons by the year 2045. The argument over whether 100 percent clean energy is possible has a long pedigree. Stanford engineer Mark Jacobson famously argued in 2015 that it was … but two years later a coterie of other researchers wrote that Jacobson’s analysis was critically flawed, and Jacobson sued them for $10 million. (He later dropped the lawsuit. )1 A National Renewable Energy Laboratory study says that getting to 80 percent of American electricity demand is probably possible by 2050—using wind in the midwest and off the coasts, solar in the southwest, hydropower in the Northwest and Southeast, and so on. Oh, and as Nathanel Johnson points out at Grist, environmentalists and activists have long argued over the distinction between “renewable,” which is primarily solar and wind, and “clean,” which includes other carbon-neutral-but-still-environmentally-problematic sources of juice like dams and nuclear power. The deeper problem is that merely farming the electrons isn’t enough. Wind, water, and solar are, to greater or lesser extents, intermittent—which is to say, they don’t make electricity all the time, and often don’t make it when people need it. Solar doesn’t work at night (duh) and hydro makes less power during drought years, which: Welcome to the desert of the now. To account for those geographic and temporal imbalances, utilities need to transmit power from places that have it to places that need it, and to store the power for rainy days, figuratively and literally. “The two great enablers of more substantial deployment of renewables in California are going to be storage and transmission,” says Dan Reicher, executive director of the Steyer-Taylor Center for Energy Policy and Finance at Stanford. Offshore wind remains challenging in California because the waters far enough offshore to mitigate visual and marine mammal impacts are very deep. The state is unlikely to build more dams. Geothermal is hard to site. While battery prices are falling, batteries alone wouldn’t provide all the storage the state would need. Other storage technologies might fill the gaps—pumped hydro, compressed air, flywheels, basically anything that changes electricity into some other, easier-to-store format and then converts it back again when people need it. “Don’t get caught up in the view that many of us do, that we have the technology and it ought to be straightforward to get it deployed. That’s the bugaboo in energy,” Reicher says. “I spent three years at Google, and that was the great distinction between the world of information technology and the world of energy technology.” In IT, he says, projects are measured in terms of months and millions of dollars. In energy, it’s decades and billions. Complicating things further, the new law would prohibit the state of California from purchasing power from anywhere else that wasn’t also carbon-neutral. Right now, all the electricity-generating facilities in California are privately owned or run by municipal or investor-owned utilities. They distribute power under the auspices of the California Independent System Operator, a so-called regional transmission operator that’s also responsible for “balancing,” which is to say, figuring out if demand is surpassing available electricity and bringing more juice online (or buying it from one of the 37 other balancing authorities on the Western Interconnection, reaching from Canada to northern Mexico). “We lean on each other if we need it, but it’s not a coordinated, day-ahead market like it would be with an integrated, regional market,” says Anne Gonzalez, a spokesperson for California ISO. The stakes here are pretty high. Hawaii already has a plan to get to 100-percent clean energy in place, but California has an outsized influence on national policy, both philosophically and politically. With a GDP of over $2.7 trillion, it’d be the fifth largest economy in the world if it was a country. If the state pushes for cleaner power, other states might be compelled to follow. Which would be good—climate change, after all, doesn’t stop at the Nevada border. And with the federal government pulling the US out of the Paris climate accords and threatening California’s strict vehicular emission standards, climate-based regulation in California also operates as a pointy stick aimed at Washington. “I made a determinate decision that the occupant in the White House was a clear and present danger to our planet, and that we would have to accelerate our goals,” de León says. So could it work in California? Even if the 100-percent goal doesn’t get scored, ambitious policy can still move a ball down the field. As de León points out, the energy sector used to account for 50 percent of California’s greenhouse gas emissions. Now it’s down to about 20 percent. Today, transportation is far and away the major contributor—no surprise in the land of the freeway. Maybe after the state gets its grid sorted, it can get hopping on more bike lanes and high speed rail. 1 A helpful reader points to updated work from Jacobson and others.